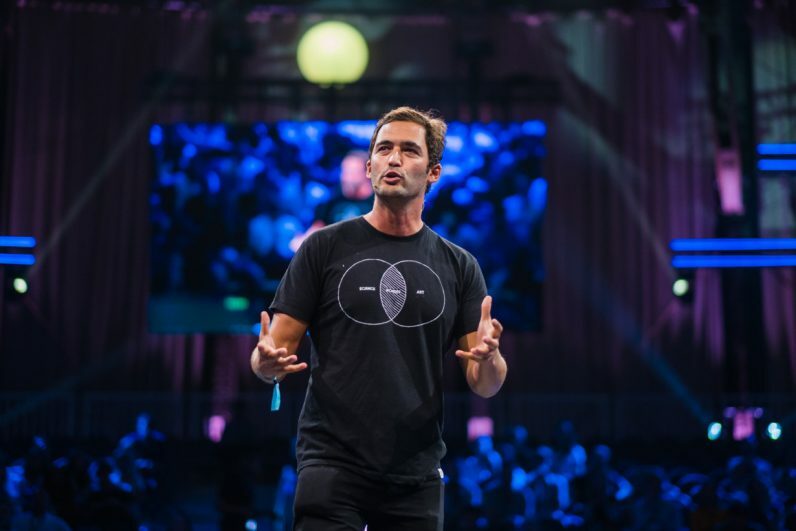 Tech experts from MIT, Headspace, Stripe, and more, came to TNW Conference to tell us about how we can harness technology to benefit future generations. So, how do we ensure that what lies ahead is bright? This took place at the Future Generations track at TNW2018. Did you miss it? Don’t you worry — we caught it all on tape. So, let’s recap. You might know Jason from the TV show Brain Games. He’s hugely positive about technology and, at his Future Generations talk, he made it clear that we should be too. “There is poetry in what can be possible,” he said. His goal was to get people away from fearing our future, and to generate enthusiasm about technology’s next big step: the singularity. Jason went on to explain three emerging tech fields that are adapting what it means to be human: genetics (biotechnology), nanotechnology, and robotics (artificial intelligence). His message is that it’s up to us to harness them in a positive way. Rich was interviewed and asked some personal questions about the past, present, and future of Headspace. He stated that the goal of the app is to create happiness in every stage of a person’s life and to make the world a better place. It was Nelly’s birthday on May 25th, and we celebrated with her on stage! It was my birthday too, but she probably deserved the cake more than me, since she created a university with 100 percent scholarship funding for every student. Fair enough. Apologetically French (she actually apologized) and boldly dressed, Nelly took the stage and introduced the University of the Underground. It aims to democratize education and support diversity, while providing a masters degree in multiple artistic disciplines. The best part? Classes are hosted in the basement of a nightclub. I think it’s time to go back to school. Were you hoping to get a recap of another talk from the Future Generations track? We’ve uploaded all of them on our YouTube channel. Go and check it out! The track featured many more speakers like Danielle Wood, who works at the MIT Media Lab, and John Collison, co-founder of Stripe.